Founded in 1944, National Association of Teachers of Singing, Inc. (NATS) is the largest professional association of teachers of singing in the world with more than 7,000 members in the United States, Canada, and more than 35 other countries. Whether working in independent studios, community schools, elementary and secondary schools, or higher education, NATS members represent the diversity of today’s music landscape, teaching in all vocal styles. Internationally, NATS is represented in Argentina, Australia, Austria, Belgium, Bolivia, Brazil, China, Colombia, Denmark, France, Germany, Greece, Hungary, Indonesia, Ireland, Italy, Japan, Malaysia, Mexico, Netherlands, Portugal, Singapore, South Korea, Spain, Sweden, Switzerland, Taiwan, and the United Kingdom, with the number of countries growing every year. Driven by its mission statement, NATS offers a variety of lifelong learning experiences to its members, with workshops, Intern Programs, master classes and conferences, all beginning at the chapter level and progressing to national events. Students of NATS members* have access to one of the organization's most widely recognized activities: Student Auditions. They also have the opportunity, along with members, to compete at a national level through the National Association of Teachers of Singing Artist Awards (NATSAA), the National Music Theater Competition (NMTC), and the National Student Auditions competition. Final rounds for NATSAA and National Music Theater take place every two years at the NATS Winter Workshop. 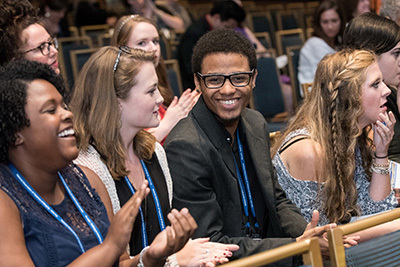 The National Student Auditions are an annual event, with the semifinals and finals scheduled to be held either at the NATS Summer Workshop in odd-numbered years, or the NATS National Conference in even-numbered years. NATS supports the growth and enrichment of its members through the publication of Journal of Singing, a scholarly journal comprised of articles, written by distinguished experts, on all aspects of singing and the teaching of singing. Other publications include the members-only Inter Nos newsletter, which publishes twice annually (spring and fall) and the Intermezzo e-newsletter that distributes weekly. Other member benefits launched in recent months include Vocapedia, a dynamic new information database that will forever change how information about singing and the science of voice is shared with the teaching community around the world, and the NATS Live Learning Center, which archives video sessions of past workshops, master classes and other sessions from NATS national conference and events.